SNAKuK is inviting applications for conducting outreach performances from individual Kutiyattam performers. Last date to receive the application at SNAKuK: 05th February 2019. 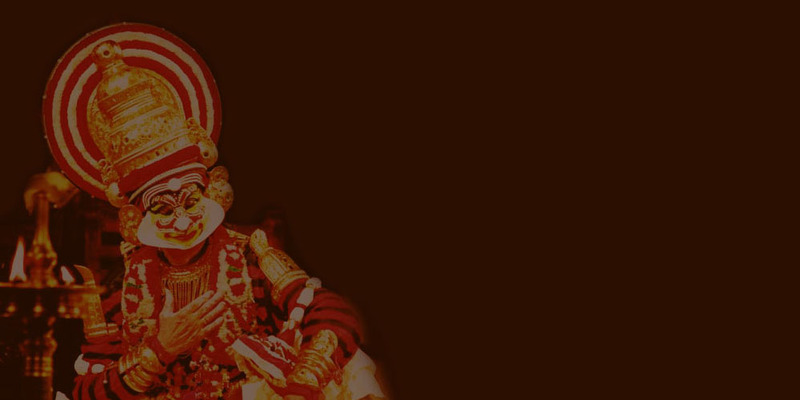 The oldest theatre form in existence with an antiquity of 2000 years, Kutiyattam is the predecessor to the other well-known art forms of Kerala like the Kathakali. The only surviving Sanskrit theatre tradition of India, Kutiyattam is the most classical (Margi) of all the art forms. Literally, the word Kutiyattam means, “acting together”; two or more characters on the stage at the same time. Traditionally the right to perform Kutiyattam solely rests with the Chakyars and Nangiars, with the Nambiars assisting in drumming and in the green-room. Male roles are performed by the Chakyars while the female roles are enacted by Nangiars, the female members of the Nambiar. Kutiyattam was predominantly performed in the Koothambalam (temple theatre) built inside the temple precinct. The design of the stage is simple and by and large in accordance with the principles of ‘Natyashastra’, the ancient Indian treatise on performing arts. Nevertheless, the distinctive nature of traditional Kerala architecture is also discernible in the structure of Koothambalams. Kutiyattam lays great stress on ‘abhinaya’ or acting. Abhinaya is a three-fold or four-fold process. As an introductory step, hand gestures and symbols are shown and are followed by Sanskrit verse/sloka spoken in a modulated tone. Then the meaning of the words are translated to the audience using hand gestures, body postures, attitudes and facial expressions and this is again followed by gestures and symbols of the hands. Kutiyattam retains the strong and distinctive local flavour of Kerala and has been hailed by UNESCO as a ‘masterpiece of the oral and intangible heritage of humanity’ in 2001.